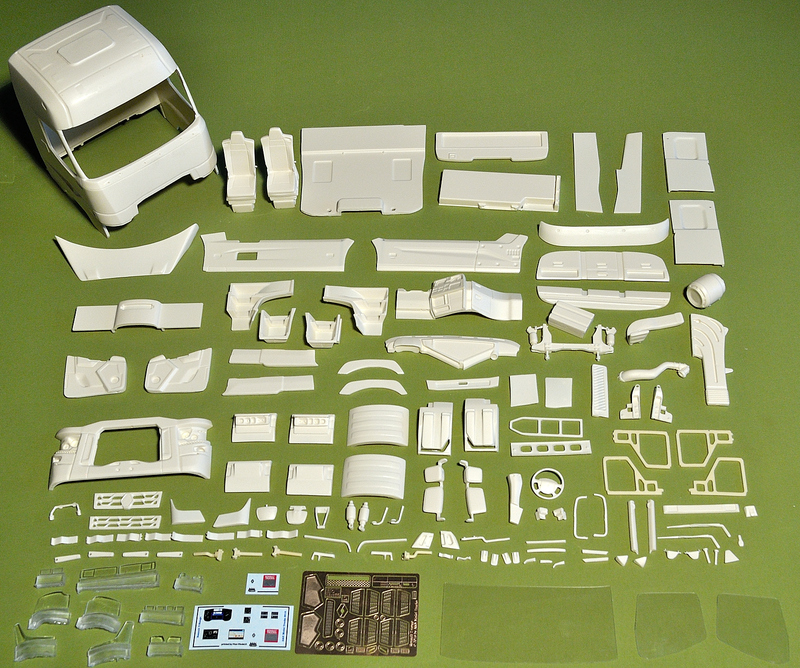 Highly detailed conversion kit of the new French truck Range-T (highest cabin with flat floor). 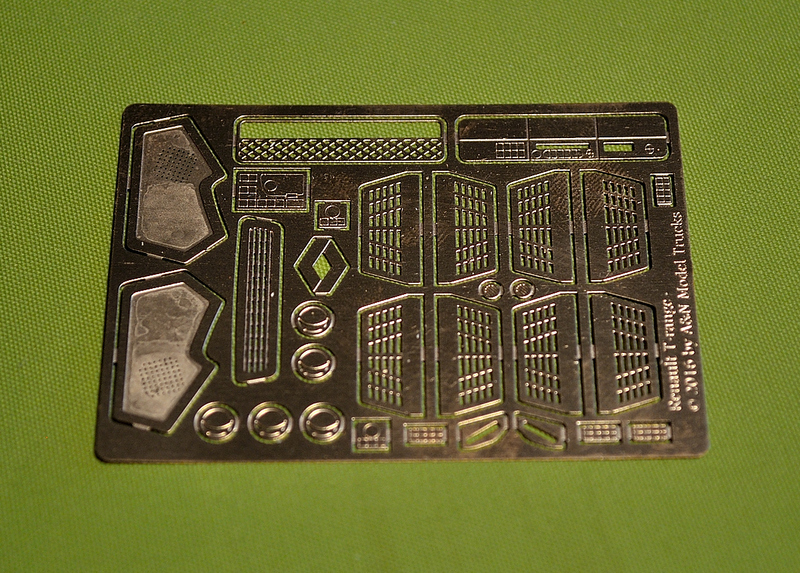 Kit contains many small fine parts like rain sensor, GPS antenna and many other parts which give the model the highest level of detailing and authenticity. Also you can choose right or left hand drive dashboard and screen wipers. 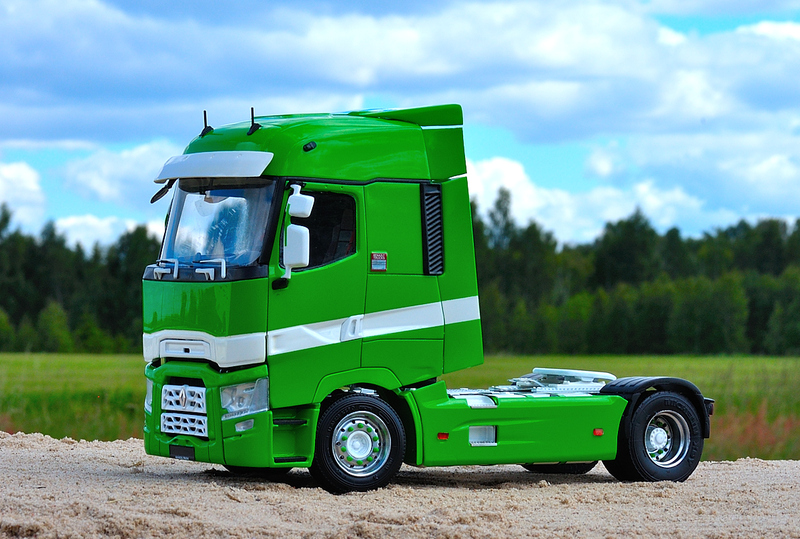 For the best results we suggest to use our photo-etched French truck chassis. NO ANY DONOR KIT WILL BE REQUIRED! All you need extra – wheels and tyres. 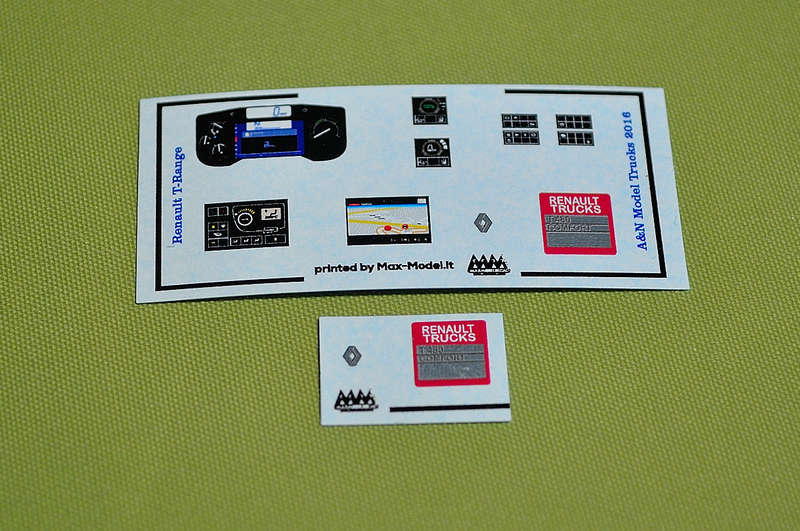 Mock up pictures by SIA “A&N Model Trucks”; French truck chassis by A&N Model Trucks was used.